Simple to convert a bunch of books to EPUB, PDF or Mobi. Drag and drop books from the right side library, choose an output format in the lower left corner, and click the big "Convert" button. Then, all the books will be transformed to the files you need. • Converting an encrypted eBook only needs 3 clicks. 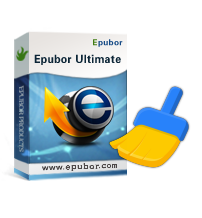 • Convert eBooks from almost all the popular retailers. • Free Customer Support for Giveaway Users. • No.1 fast DVD ripper. • 1:1 Rip & Backup any DVD. • Play DVD on Apple iPhone Android. • Embed Flash, images, links, etc. Note: Code should be activated before Aug.22. • Supports hundreds image formats. • Convert, resize, watermark images. • Adjust image effects in batch mode. • Creates an index of all the files on all your disks. • Grabs the contents of archives and ISO files.